Salar de Uyuni – the Salt Flats of Bolivia. At 10,582 square kilometres, it is the largest Salt Flat in the world. 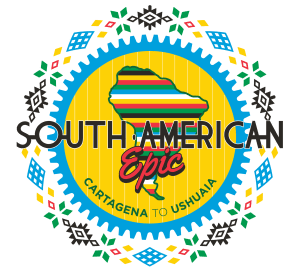 This is quite likely one of the toughest sections on what is the world’s longest supported cycling tour – our one and only South American Epic. From the Bolivian city of La Paz you will cycle across the Altiplano, which despite being challenging (high winds and intense UV sun during the day combined with frigid cold nights), is also surprisingly beautiful. Long, straight roads are flanked by mountains, making for some incredible sunsets and gorgeous bush camps. Then we enter the Salt Flats. “Vast and snow-white, it explodes into a wide open sea of salt for as far as the eye can see, making for a surreal surface to ride a bike on. Aymara legend has it that Tunupa Volcano married nearby Kusku, who eventually ran away with Kusina. Grieving Tunupa started to cry while breast-feeding her son, her tears mixing with the milk and spilling out onto the dried up lake to form the salt flat.” Read more here. 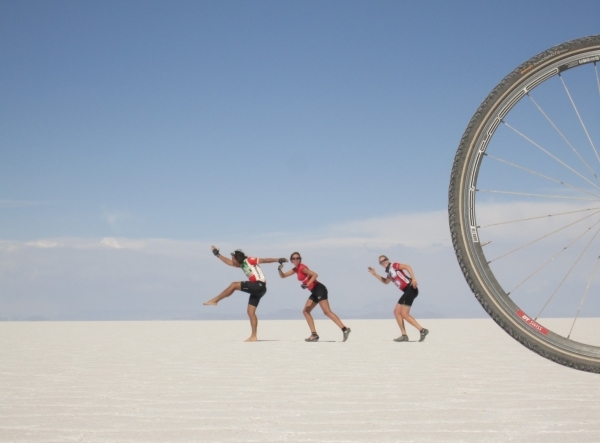 A rest day in Uyuni will allow the cyclists to explore the Salar or, if they wish, the ‘Great Train Graveyard.’ Then it’s time to leave the Salt Flats and head for Argentina. But that only happens after two of the most challenging stages on the tour – challenging climbs, wind, cold nights and misty mornings and rough and deteriorating roads. As a reward for pushing through the last few days, the riders will drop down from the harsh Bolivian plateau and enjoy more moderate temperatures and delicious Argentinian wine and cuisine. 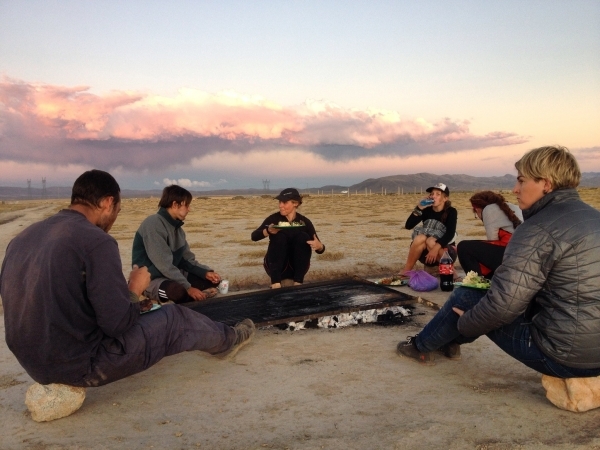 Here is a daily description that includes distances, climbing and descending totals. We make our first pedal strokes leaving the hostel in La Paz. Our adventure starts with a ride out of La Paz in the early morning to beat the traffic. Your first challenge will be the first 13 km out of the city which is all uphill. This pleasant, scenic ride amongst rolling green hills dotted with several villages will make you feel like the adventure has really begun as you cycle further and further away from civilization. Basic camping tonight with temperatures dropping significantly as the sun goes down. 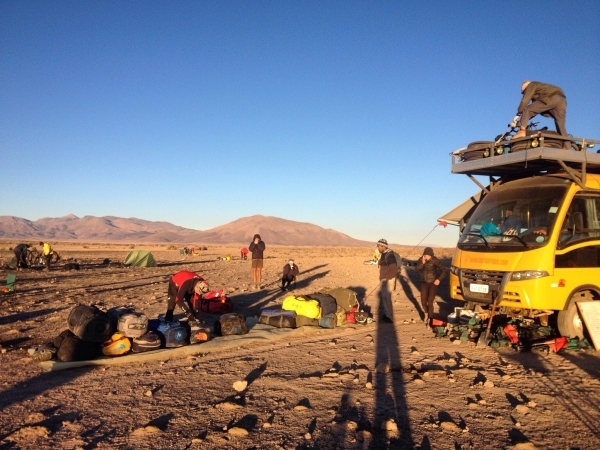 Limited climbing today after starting from the busy town of Oruro and then camping near the Challapata railway station. There’s a good chance as you are cycling today you will spot Andean flamingoes, llamas and other wildlife. The stage is mostly paved, except the final 15 km as we approach the salt flats. You will not see pavement again for quite awhile. The campsite is next to a meteor crater. A nice change of scenery today as we enter the salt flats, with great views of Tupuna Volcano all day long. Deep in the salt flats, the navigation becomes challenging with your depth perception playing tricks on you. Stick to the tracks left by vehicles and heed the advice of your tour leader. Tonight we stay in a cozy hotel in the town of Uyuni. 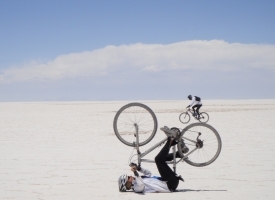 We have a non-cycling day in Uyuni. This is your last night in a hotel bed for a few nights so enjoy it. Take time to explore The Great Train Graveyard. 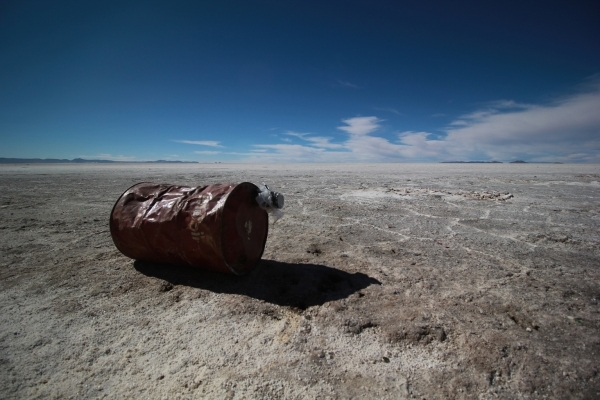 Atlas Obscura describes the scene – ‘On the outskirts of a desert trading village high on the Andean plain, steel giants have been destroyed by salt winds’. Things start to get increasingly challenging for the second half of this adventure. Expect strong head winds, icy early morning temperatures, and deteriorating road conditions. It would be fair to describe the conditions as harsh for today and tomorrow. Camping tonight at a local school. This will prove to be one of the toughest stages on the adventure. Over 81 km you will climb almost 2000 m on challenging, unpaved dirt roads. These are the stages you will remember. This is where the adventure gets real. Great views of Cerro Choroluque Volcano today. This will be another challenging stage, with a lot of climbing. We cross into Argentina today and get to treat ourselves to a shower and a room at a small hotel. It’s clean and has wifi and a bar – everything a cyclist dreams of after a gruelling couple days in the SaltFlats. We really start to feel things changing…. “Cold Bolivian Andes melted into meandering rivers, twisting through red rocky corridors. The geography of Argentina was equally rivaled by its culture and cuisine. The distinct European influence of Argentina was pleasantly obvious as soon as we passed through the small frontier town of Chocaya.” Read more. Argentina is world renowned for its wine and, because of the prevalence of European ancestry in the region, good cheese, fresh baked bread, olives and espresso are all readily available. For a group of riders who spent the last several days in the harsh climate on the Altiplano, these small luxuries go a long way. 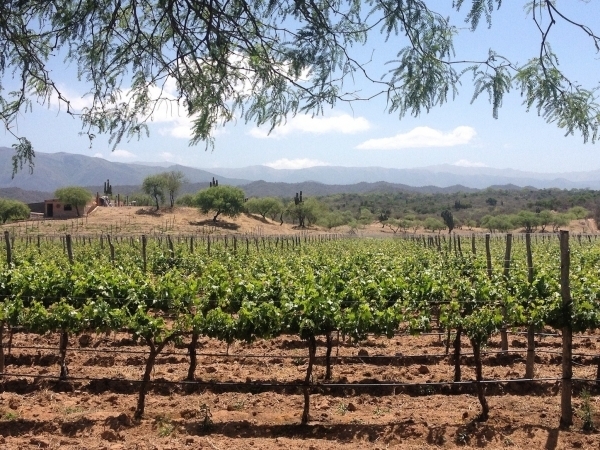 As we make our way from the border to the city of Salta, the small, sinuous highways are lined with vineyards, stretching for kilometres to the foothills to the Andes Mountains. On arrival to Salta we can rest and refresh ourselves for two nights in a hotel. 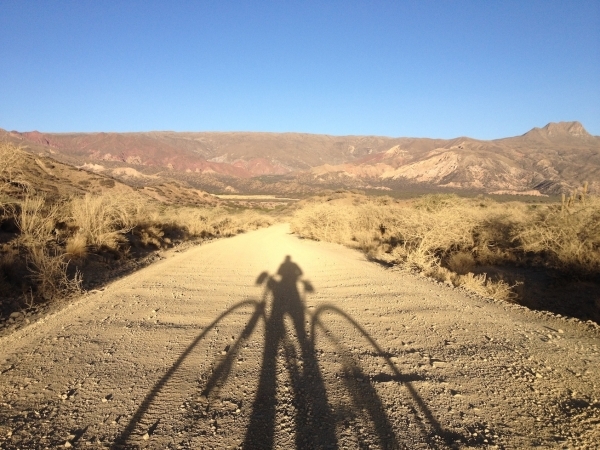 Cycling the Salt Flats is certainly one of the most unique, challenging and rewarding sections of the South American Epic. 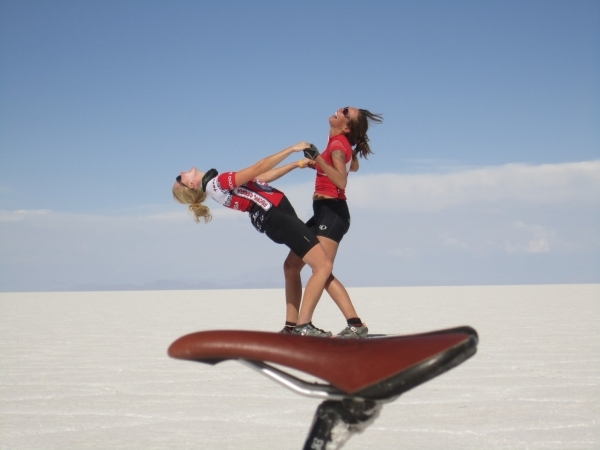 We hope you can join us and experience all it has to offer from the seat of your bicycle. 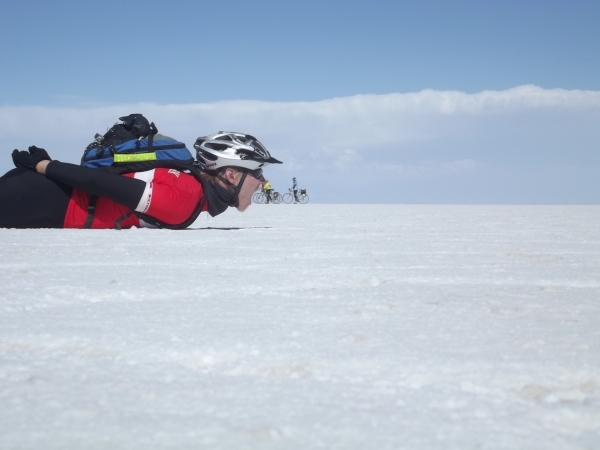 0 comments for "Cycling the Bolivian Salt Flats: Breaking it Down by the Numbers"
Leave a comment for "Cycling the Bolivian Salt Flats: Breaking it Down by the Numbers" by visiting the original post on our TDA Global Cycling blog.